Recommended for the afternoon 1 – 2 hrs before sunset. To make the drive being worth it even more combine it with a day in La Jolla, Mission Bay and Pacific Beach. 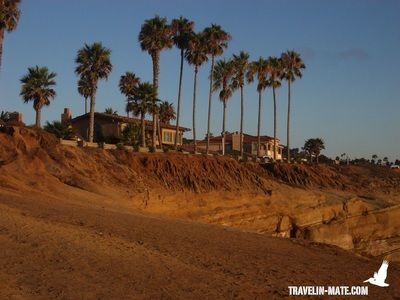 Continuing from there, the easiest is to drive down Mission Bay Drive and exit onto Sunset Cliffs Blvd behind the bridge. Being on Sunset Cliff Blvd follow the road until Hill Street and turn left. Make a right into Catalina Blvd, which leads you directly to the monument. If you are coming directly from Del Mar take I-5 South and change onto I-8 towards Ocean Beach. Exit I-8 at Sunset Cliffs Blvd and follow the directions above. From Mission Bay: Use Mission Bay Drive and exit onto Sunset Cliffs Blvd behind the bridge. Follow Sunset Cliff Blvd up to Hill Street and turn left. From Hill Street turn right into Catalina Blvd, which leads you directly to the monument. ​From Downtown: Take Harbor Drive to the north, pass the airport and Harbor Island. Harbor Drive merges into Rosecrans Street. Make a left here and follow Rosecrans to the far end until White Rd. Turn right into White and immediately left into Silvester Rd connecting you with Cabrillo Memorial Drive and the monument and its parking lot. 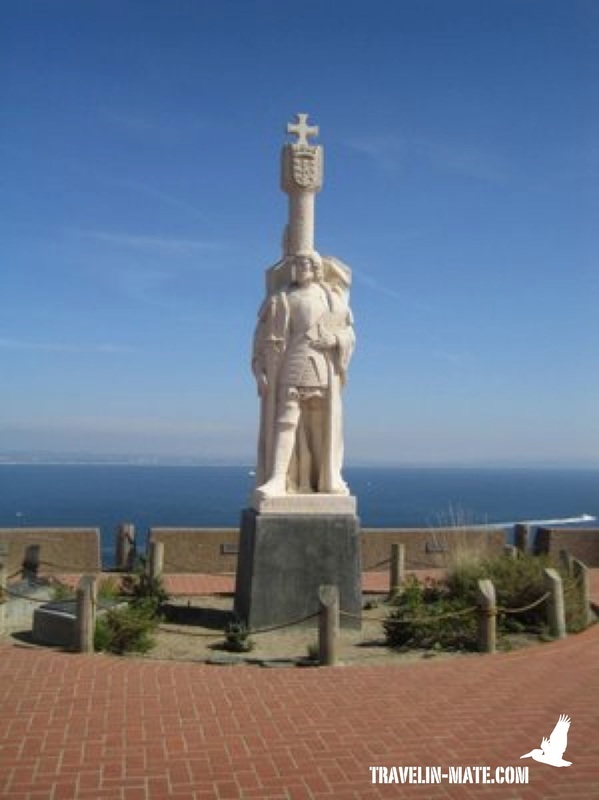 From Point Loma: Either take Rosecrans Street or Catalina Blvd to the south towards the monument. From Rosecrans turn right into White Road and immediately left into Silvester Rd. This road brings you to Cabrillo Memorial Drive and the monument and its parking lot. From Catalina Blvd you end up automatically at the monument. 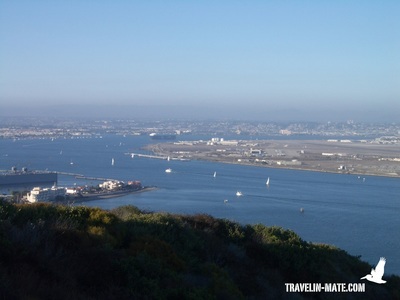 From Coronado Island: Cross Coronado Bay Bridge and exit at National Drive, make a right. Take the 2nd left into Caesar E. Chavez Parkway and turn right into Harbor Drive. At Rosecrans Street turn left and follow Rosecrans to the far end until White Rd. Turn right into White and immediately left into Silvester Rd connecting you with Cabrillo Memorial Drive and the monument and its parking lot. If you want to go first to Ocean Beach and Newport Ave drive to Sunset Cliffs Blvd and turn into West Point Loma Blvd towards the oceanfront. This street is leading you to Ocean Beach parking lot. Or turn into Newport Ave towards the ocean driving through the neighborhood’s small shopping and restaurant mile that ends at Ocean Beach Pier. 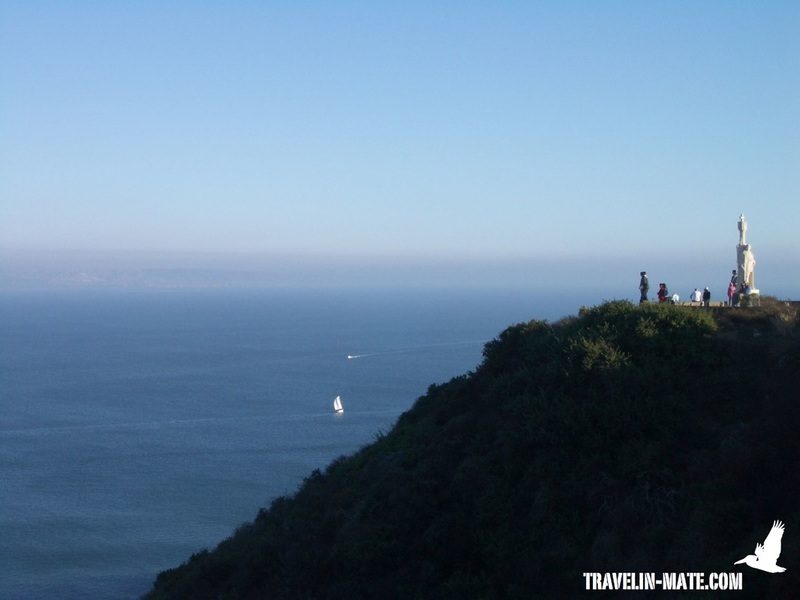 The monument at the southern end of Point Loma was erected to remind of the first European sailors that landed in San Diego in 1542. Juan Rodriguez Cabrillo, a Portuguese sailor, sailed under a Spanish expedition when he, according to historians, threw anchor at the east shore of Point Loma. The white sculpture that honors the landing was a gift by the Portuguese Government. Alvaro de Bree created it in 1939. Each year in October the historical landing is celebrated with songs, dances and food around the monument. Standing here you have a beautiful view over Coronado Island, the skyline of downtown San Diego and the harbor. The scenery is a bit interrupted by the North Island Naval Complex, an air base, but nevertheless the lookout gives you a great panorama over the city. 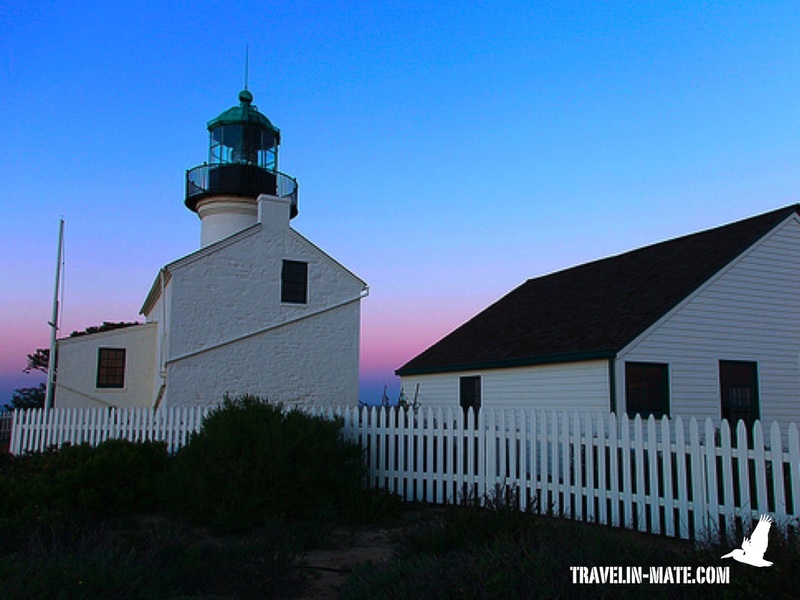 If you hike down the path that starts to the left of the monument you reach the Old San Diego Lighthouse. It was built from 1854 – 1855 but had to stop its operation in 1891 since its visibility was affected through clouds and fog. 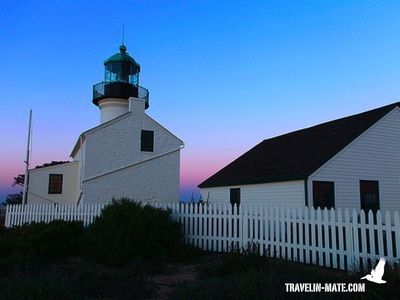 It was replaced by a newer lighthouse down at Cabrillo Road and was opened to the public after it was restored in the 1980s. Entering the park you might have realized that you were guided through a U.S. Navy facility. Make sure you stay on the public streets and do not enter the well-marked side streets. Otherwise you will be stopped immediately and have to identify yourself. If the sky is clear you can be sure to attend a marvelous sunset that dyes the shoreline in red, orange and yellow. The scenery is accompanied by an unrestricted view over the ocean. If you are dating you should consider a picnic dinner here or a romantic stroll along the trail that runs parallel to the cliffs. If you are a surfer: nice waves await you at Luscomb’s, Garbage Beach and New Break, but you have to know that these spots underneath the cliffs are packed with advanced locals, which comes with a pecking order. 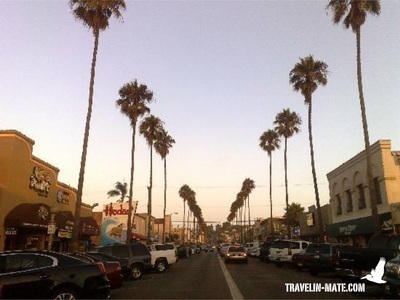 If you haven’t been there before the sunset, continue on Sunset Cliff Boulevard towards Newport Ave. Newport Ave is the entertainment strip of Ocean Beach featuring antique shops, surf shops, small boutiques, restaurants and bars but also head, tattoo, and piercing shops. If you are looking for a drink in a fancy surrounding before dinner this isn’t the right place. If you prefer it very casual with a tiny touristy touch this street is nice enough to start the evening with a cold drink. At the end of Newport Avenue and to your left is the Ocean Beach Pier. Don’t hesitate to enter it since it opens a nice view towards the northern shoreline and its lights at night. 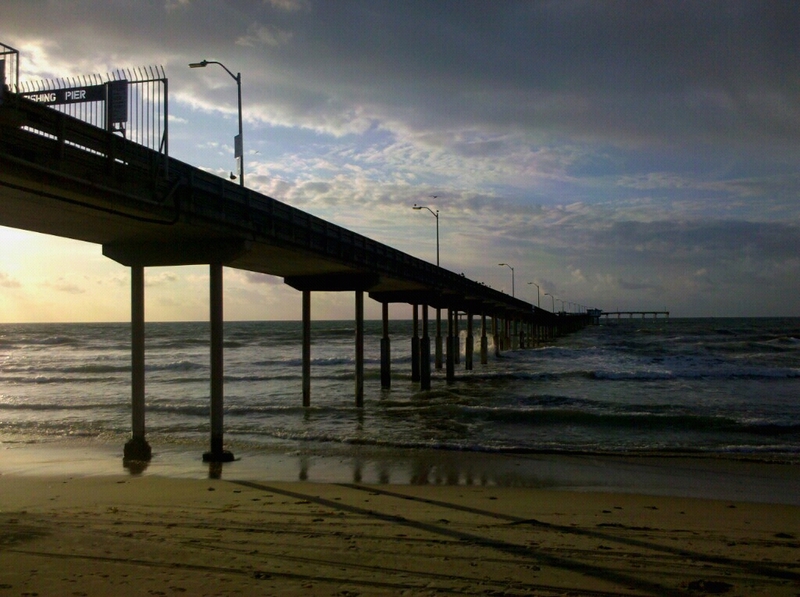 The pier has a length of a 1/3 of a mile (600m) and is the longest concrete pier at the West Coast. 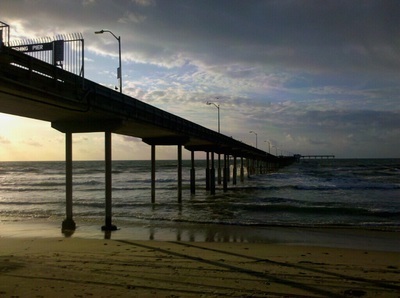 The OB walkway that runs in front of the pier stretches over one mile (1,6 km) along the beach and is quite inviting for an evening stroll. In case you are traveling with your dog, don’t miss the dog beach at the northern end of the walkway. 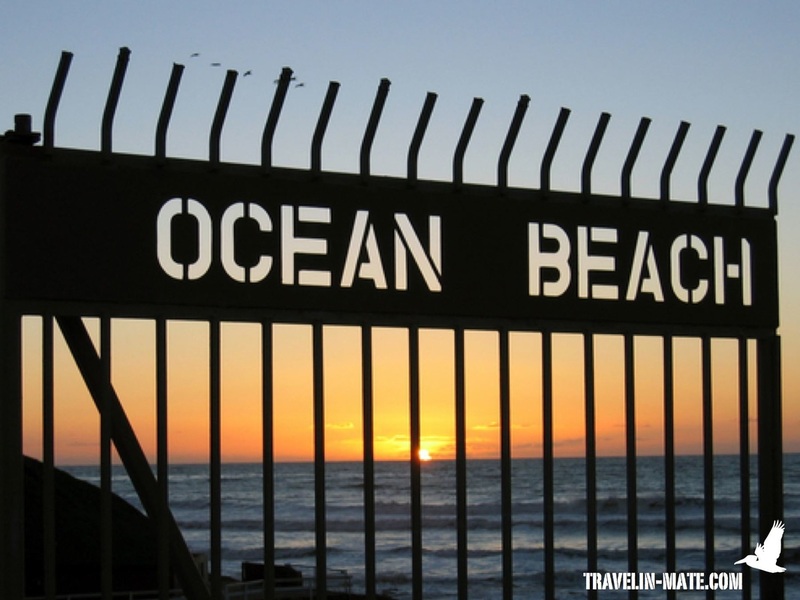 Ocean Beach received its name in 1887 when a realtor moved here to sell lots to prospective homeowners. By that time Ocean Beach was 2.5 hours ride away from Downtown San Diego and didn’t get much attention. Another effort in making the area attractive to new residents was the opening of the Wonderland Amusement Park in 1913. Unfortunately high tides destroyed the park’s main parts by 1916 and the area lost its rising popularity again. Ocean Beach’s colonalization had to wait until a wooden bridge connected Mission Beach with Ocean Beach. However, the bridge was closed and finally demolished in 1951. Finally, the area achieved popularity in 1967 when Interstate 8 ended at W Point Loma Blvd. 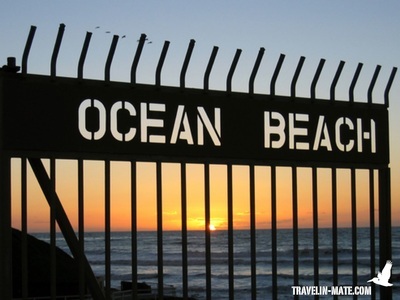 Together with the pier that was built in 1966 Ocean Beach became a waterfront and surfing destination. Over the years it turned into a “Southern Californian Haight Ashbury” and still retains its non-commercial character. 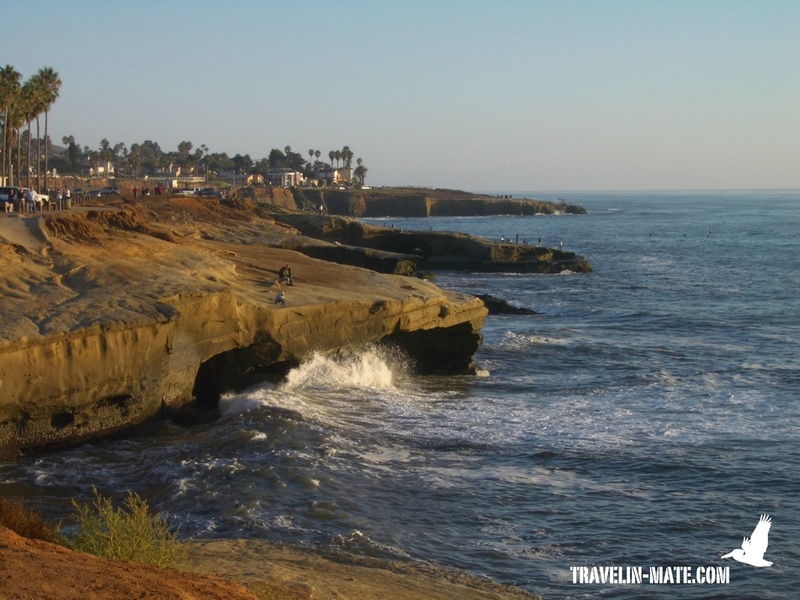 There are plenty possibilities to spend the rest of the evening in San Diego. 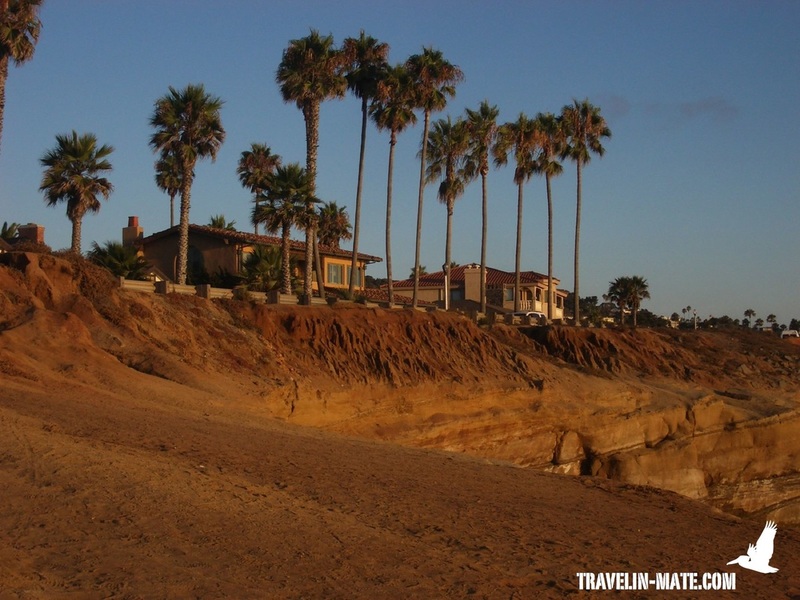 You either can enjoy it at Ocean Beach or at Point Lomas harborside along Rosecrans Street or you drive to Old Town or to the Gaslamp Quarter. Driving back to San Diego Downtown or Old Town you are passing Point Loma’s harborside. It runs parallel to Rosecrans Street at Scott Street and Shelter Island Drive. Several restaurants frame the yacht clubs, small boat marinas and the sport fishing dock. Turning right at Shelter Island Drive you are guided towards a sand bank that is called Shelter Island. Some tropical-styled resorts are located here adjoining the small boat marinas. If you don’t mind the pricey drinks and food you will find some nice resort bars and restaurants on the island facing the marinas. If you prefer a low-key location drive to the sport dock instead. There you have some fish shacks that come with patios facing that are facing the docks.